We’ve been so worried about Tulisa lately! First we found out that she had a nasty breakup with her boyfriend. The next week we hear about a huge scandal involving her getting arrested with drugs. Reports now confirm that she has turned over a new leaf. She has kicked her drug habit and went in for a new make over. We are so proud of her. After reviewing several photographs, our Botox experts in Los Angeles have confirmed that she has in fact gotten some Botox in her forehead and around her eyes. We’ve found that after celebrities go through a crisis, nothing makes them feel better than a fresh new look, and most of the time that includes getting Botox. Photo shoes some forehead stress wrinkles, and a hot bod. Her new look which includes a fresh new hair-do has been compared to a much younger Angelina, which we certainty agree with. 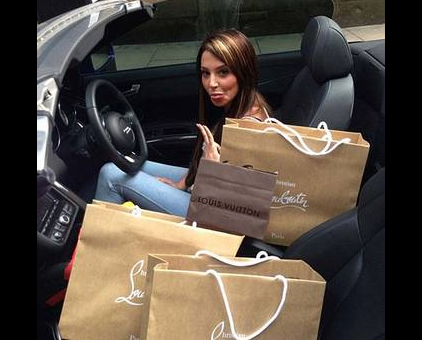 The X factor judge also reportedly went out on a crazed shoe buying binge. She posted photos on her Instagram where she went out and bought a ton of Christian Louboutin Louis Vuitton heels for her arsenal. We are so happy that Tulisa is looking good and feeling good. What celeb hasn’t had a drug arrest? We are so proud of you Tulisa!